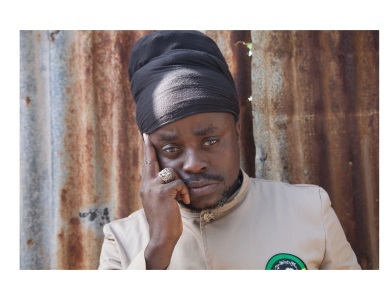 Ghanaian-born Black Prophet represents a new generation of African Roots Rock Reggae, he carries the flame of Jah music from Africa to Jamaica and the rest of the world. What makes Black Prophet unique is the sound of his voice and his diversity as an artist. His vocal ability takes the listener on an emotional journey, where the listener can experience the pain and despair or the hope and joy, through the stepping sounds of quality Roots Rock Reggae. Black Prophet�s music fuses elements of traditional African music with Jamaican reggae and throws in a hint of rock and dash of Hip-hop for good measure! Black Prophet is multi-lingual, sings in different languages and speaks several dialects. Since 2006 Black Prophet has recorded 4 albums which are now distributed by VPAL Music/VP Records. Legal Stranger 2006, Tribulations 2012 and Prophecy 2008. Black Prophet�s most recent album �Stories of Life� released in mid-2016, was produced by the legendary �Dean Fraser� is a manifestation of how he observes the world around him. The album was also considered for a Grammy Award for �Best Reggae Album 2017. Black Prophet has performed in over 30 countries from Germany to Ghana, Sweden, Jamaica and the UK to list a few, performing at festivals, in nightclubs, headlining his own concerts to supporting world-renown reggae artists. In 2018 Black Prophet was invited to present his showcase at SXSW18 Music Festival Austin USA with promotional performances in Dallas, San Diego, Lyrics with meaning for all music lovers.... This artist needs to be heard�.